Today I woke up to an icy coating on the landscape out the window. I had made some appointments early in the day that lasted into the afternoon and by the time I was free to try and capture the winter coating, the ice was melting away. 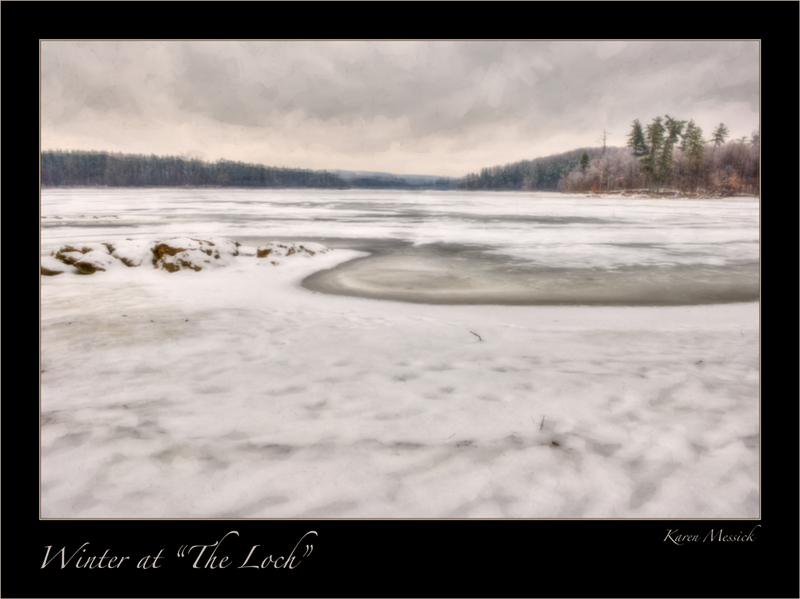 I drove home and got the camera and headed out to Loch Raven. The sky was still that winter gray with a few breaks allowing some sun every once in a while to shine through. 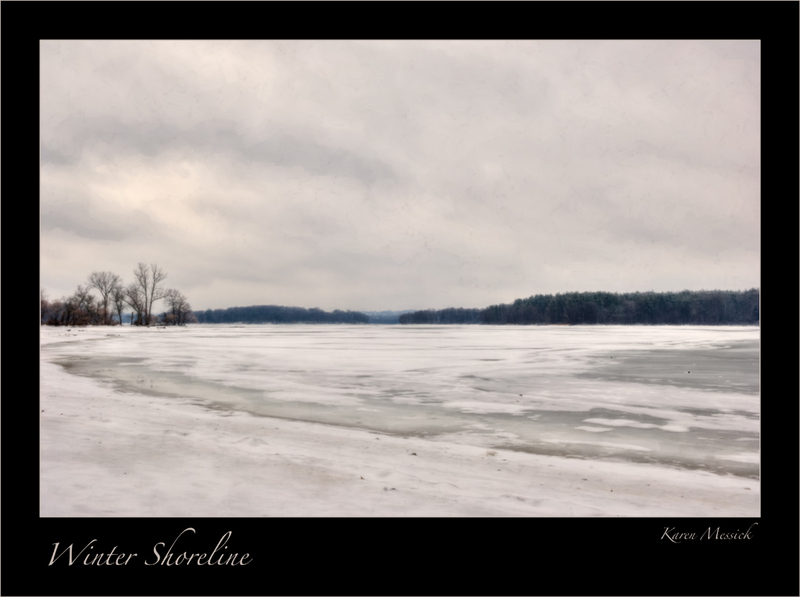 I walked around the shore line enjoying the winter landscape and making images along the way. The reservoir was very low and with the snow on the shore it was hard to tell if I was walking on ice or solid ground. I also took a really deep step where there is a little drainage spill, as it was covered in snow. Good thing I had put some boots on! I also processed some images using Photomatix, by making a couple bracketed images. 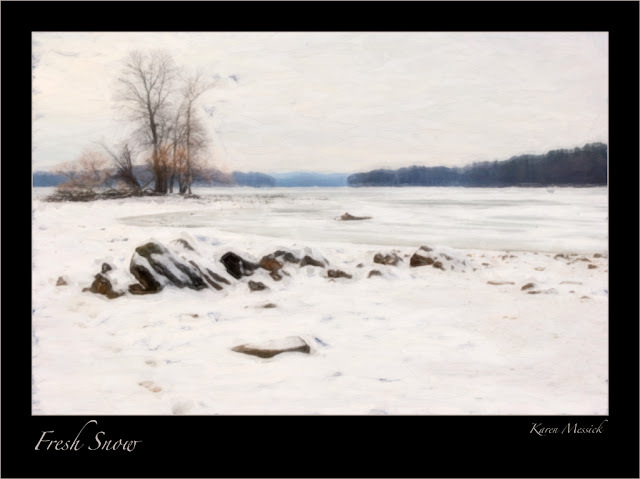 I really do love the winter landscape with its monotone color palette.